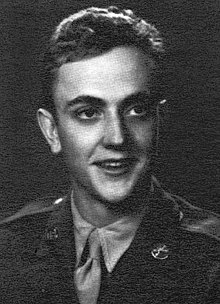 Kurt Vonnegut, yngri (f. 11. nóvember 1922 - d. 11. apríl 2007) var bandarískur rithöfundur af þýskum ættum. Kurt barðist í seinni heimsstyrjöldinni og var tekinn til fanga af Þjóðverjum. Hann var færður til Dresden sem Bandamenn jöfnuðu við jörðu skömmu síðar með sprengjuherferð dagana 13.-15. febrúar 1945. Kurt lifði þennan hildarleik af þar sem hann hafði flúið í skjól í Sláturhús 5, sem seinna varð titill frægustu bókar hans. Eftir þetta var Kurt gert að safna saman líkum látinna í hrúgur sem var svo kveikt í með eldvörpum. Hann lést á heimili sínu 11. apríl 2007 skömmu eftir að hafa fengið slæma byltu sem olli alvarlegum höfuðáverkum. William Rodney Allen (WRA): Your travels have been extensive – Japan, Poland, were you just in Iceland? WRA: Was that another PEN venture? KV: No, they had a little literary festival. They have the same population as Rochester, New York, and are a part of NATO. WRA: Had you been to Iceland before? KV: That's right. They've got four world-class masters. WRA: What else is there to do but play chess and sit around in the sauna? KV: You know, I wrote about the Galápagos Islands and wondered what sort of human beings would evolve on a lump of lava where there's nothing to build with and nothing to make tools with. It's exactly the situation in Iceland. They've been there since the eight or ninth century and haven't had anything to build with. There're no ruins. They build out of sod, right up until the Second World War – and are still doing a little of that now. You have to keep rebuilding the damn thing day after day. Leave it alone for a year and it goes right back down. WRA: I saw a show about the high alcoholism rate of the young people in Iceland. Did you see any evidence of that? — Viðtal William Rodney Allen og Paul Smith við Kurt. Bók hans Slaughterhouse-five kom út í íslenskri þýðingu Sveinbjarnar I. Baldvinssonar sem Sláturhús fimm eða Barnakrossferðin: skyldudans við dauðann árið 1982. Bók hans God bless you Mr. Rosewater kom einnig út í íslenskri þýðingu Sveinbjarnar I. Baldvinssonar sem Guðlaun herra Rosewater eða Perlur fyrir svín árið 1992. Þessari síðu var síðast breytt 13. maí 2016, klukkan 18:34.